Behavior-based rewards as part of the customer success plan. With dozens of tailored events for SMB’s from which you can choose what suits your business most. Customers earn points that translate into reward – a discount, a freebie, or a special customer treatment. For each action, the customer receives a notice regarding the reward, keeping your customers waiting for the next surprise. 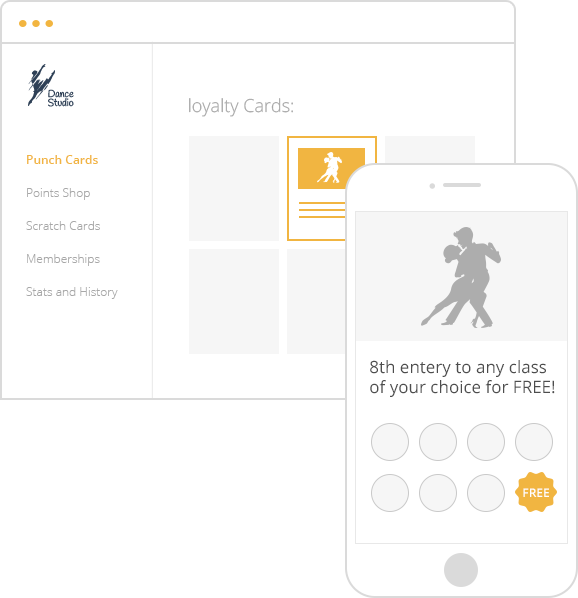 Increase the value of the rewards as the customer moves up the loyalty ladder with exclusive rewards and benefits set for each membership tier. 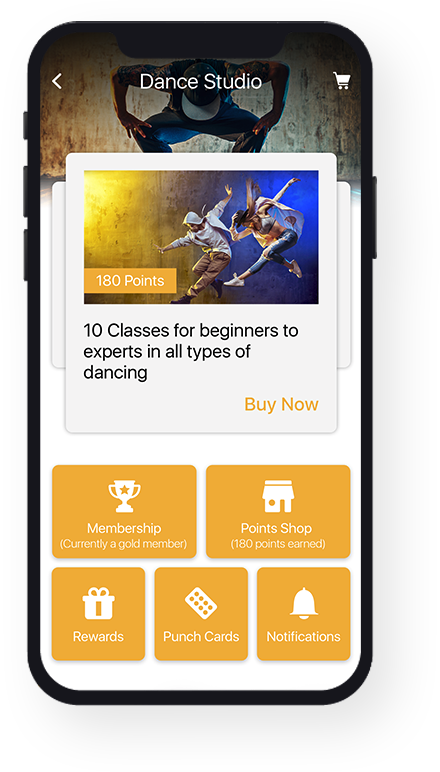 This encourages customers to increase their usage in the app to gain additional benefits. 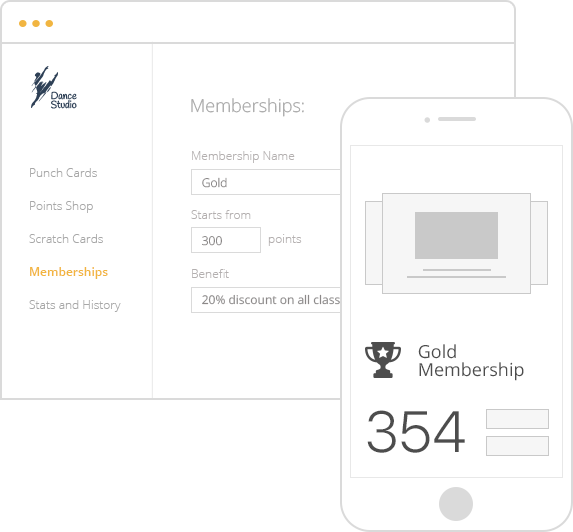 There are 3 membership tiers you can use in your members club. 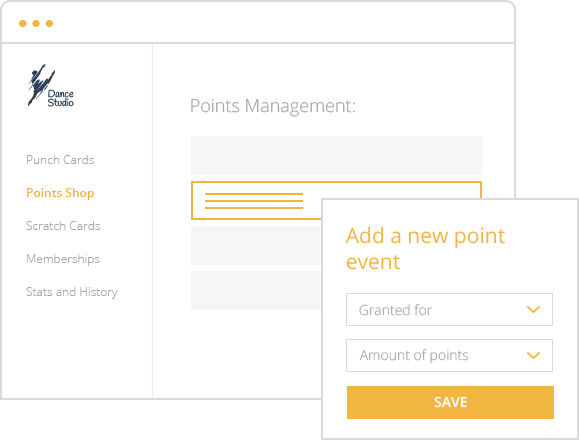 To become a member of one of these tiers, customers should gain the required number of points. 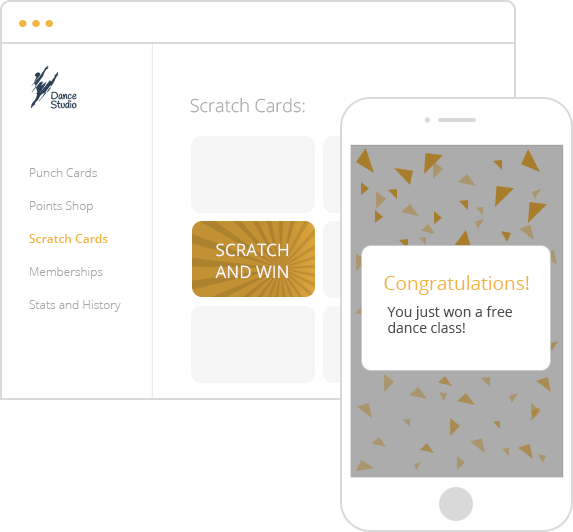 Offer digital Loyalty cards that reward customers for their repeat business and purchases. Use this feature to promote new and hard-to-sell products or offer incentives to keep them loyal to your business. There are 3 types of Loyalty cards – the most common buy 10 and get the 11th product/service for free, a discount plan offers a percentage off the 11th purchase or buy 10 items/services and receive a special gift. A virtual version of the famous scratch card games. Customers scratch the grey area and find out if they’ve got a winning ticket. Optimize your marketing efforts by segmenting customers based on prior purchases and interests and target each group segment effectively. Add a personal touch to existing relationships between the business and the customers and facilitate a higher customer retention ratio. Import your customer list from your existing CRM with a simple xls table or add customers manually and invite them to install your app and join your mobile members club. Improved responsiveness and add a personal touch to provide a better customer service experience. Chat live with your customers to provide instant customer service and support, resolve issues, and address requests and inquiries; send payment requests and follow up on orders and payments; share and receive file – PDF, word, excel, png, gif, and jpg; send customized rewards to specific customers or groups; follow up on recent activities of customers to receive a full picture of your interaction; and send holidays and special occasions greetings.